The higher the speed of the processor better will be the speed of the computer. The processor of a computer decides how many programs and applications will the laptop be able to handle at a single point of time. If you have loads of work to do in a single day and multitasking is what you want to do, then you must be ready to spend good amount of money as with more money you will be able to get a good processor with which you will be to do multi-tasking. Laptops are not just to work but for entertainment purpose too and that means you will play games and watch movies. In the hard drive all the software programs are saved an investing in a good hardware means that your laptop will be able to save a lot of data in the hard disk space. When you are buying a laptop at that time make sure that the internal storage is enough so that you do not have to buy an external hard drive for accommodating larger files to store your audio files, videos and digital images. The higher will be the RAM the better and the faster will the computer run. Before buying a laptop make sure that you are investing in a computer that can handle all your daily activities and task without making any interruptions and setbacks. You need to check if the laptop or the monitor has large display screens or if it does come with any limitations. You also need to know whether desktop has ay kind of limitations. Before buying a laptop make sure that it has a large screen size and comes with a high resolution. A larger screen size makes it easier to manage the graphics multimedia and video to perform certain duties. Laptops are not just used to do work, but these are used for connecting with other devices like printers, gadgets, scanners and Wi-Fi. With the help of wireless connectivity, you can limit the use of cables in the workplace. Wireless connectivity is great for office use and with this you can limit the use of wires and cables in a work space. Good laptops are known for their great graphic quality and with good graphics only you can enjoy the working on a laptop. Good graphic quality means better picture quality and better on-screen display. The graphic card will make the images look clear. The laptop that you are planning to buy must be light and slim so that you able to carry it anywhere with you. Have you seen the MacBook Air 13 inch? It is uber trendy and ultra-light. One modal that is the has the perfect screen size and has superb graphics. The only downside is that the price for the MacBook is slightly higher as compared to other laptops in the market. If you wish to own this laptop then you can buyrefurbished MacBook air 13 inch online at a very reasonable price. 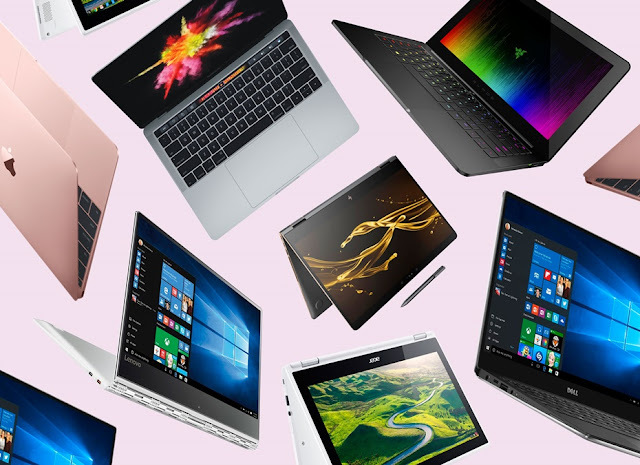 So, now you must have come to know which laptop will suit your needs and what all you need to look for in a laptop before buying it!